Christmas in July is a big event every year on My Merry Christmas. It is the event that kicks off all of the other events and traditions we enjoy every holiday season. Every day during July there is something new. 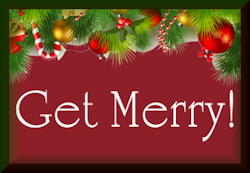 Folks will gather on the Merry Forums for extended chats, we’ll replay the Santa tracking show on Kringle Radio, and several new Christmas features and articles will appear on the site. It is also a time of coming home. Let’s face it — we are a seasonal destination. We have a hearty group of year round Christmas enthusiasts but the real party begins when the crowds return to celebrate Christmas with us. And that celebration isn’t actually at Christmas time — our busiest months are between July and November. That’s what makes the season the season. So what are we doing? Bookmark this page — quite a list will develop right here! 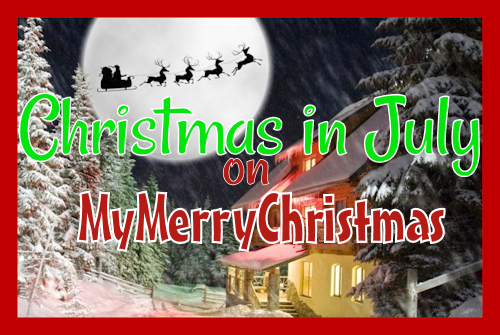 To get in on all the fun of Christmas in July you will want to become a member of the Merry Forums of My Merry Christmas. It’s free! And it is year round fun. Join, introduce yourself and get to know everyone. It’s where Christmas happens on My Merry Christmas! Don’t expect all that happens on the Merry Forums to be announced on this page, either. 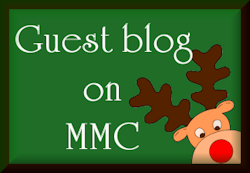 Lots of our members create their own activities on MMC — things like QVC watching parties, recipe swaps, Christmas movie-binge watching and other types of things. If you don’t join, you’ll never know! 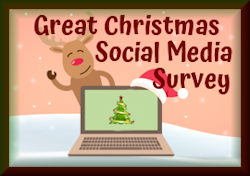 Have a lot to share about Christmas? Publish it for all the world to see — right here on My Merry Christmas. 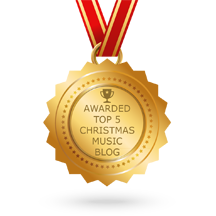 All month long we will feature guest bloggers sharing everything from the finest in Christmas music to the best of their Christmas memories. Remember seeing Santa when you were a kid? Did you get pictures? Show us! 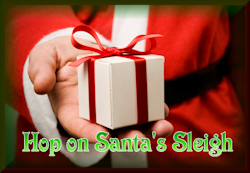 What a better way to kick off the season than to walk down memory lane of you on Santa’s lap! Show us your Santa. 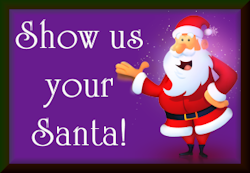 Click here to show us your Santa! We’put out Christmas not only here on our website — we’re all over social media. And nothing is merrier on social media than Christmas memes. But let’s be honest — most Christmas memes out there are pretty lame. 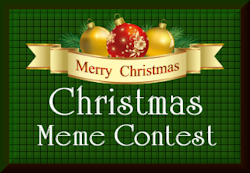 That’s why we hold a contest for new memes here as part of Christmas in July. This is a fun exercise, it’s creative and its a ton of Christmas fun to have in July. 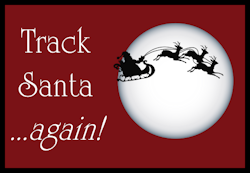 Track Santa…again! In this special episode of the Merry Little Podcast we get a recap of Santa’s flight around the world from last Christmas Eve. It’s a great deal of fun and an awesome way to set the table for your season ahead. It is Santa tracking like you’ve never heard before. 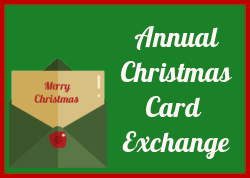 Coming soon — our 13th Annual Christmas Card Exchange here on My Merry Christmas. Watch the Merry Forums for more information. Can’t wait for those cards in the mail? We’ve got a cure for that! 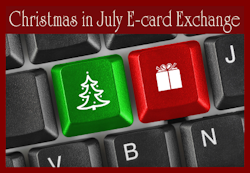 Free to all members of the Merry Forums is our annual Christmas in July e-card exchange. Santa’s Sleigh — it is something we all do together. And together we make a little difference. The miracle of it all is that we do it anonymously. Where do you find Christmas online? There’s nobody better than a fan of Christmas to ask about where to find Christmas online. We’re looking for new resources, to connect with experts, to find new folks to interview for our features, newsletters and podcasts. Show us your favorites of Christmas online! Giving is where the real joy in Christmas comes from. And this year, you don’t have to wait until December to do it. 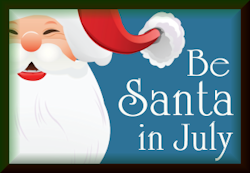 You can be Santa in July. Do you know of someone who could just use a little love this Christmas? 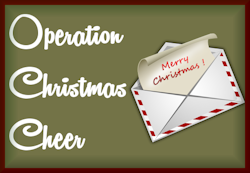 Add them to the list at Operation Christmas Cheer — our little effort to bring a little Christmas light to a few who could use a little love.